We are meeting for prayer in the Pastor's Office. Come join with your brothers and sisters lifting up petitions for our Church and Church Family. Junior Church, for kids age 5-12, is held in the Fellowship Hall after Praise and Worship. The Pantry will be celebrating their 30th Anniversary later this year. ! In 1986 the pantry was opened under the leadership of Violet and Raymond Whitbeck and Tom Shappy. By 1988 they were aligned with the Northeast Regional Food Bank further enabling them to meet the needs around us. 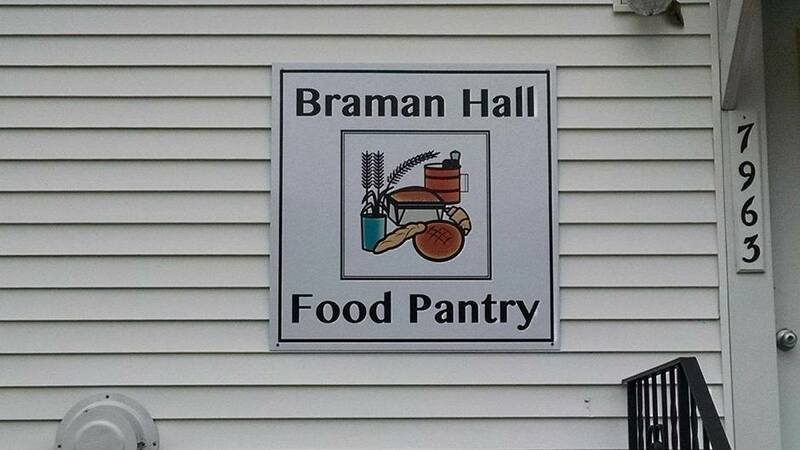 There now are six volunteers who man the pantry which is open every Thursday from 1-3 p.m. The pantry can also be available by appointment. We are now expanding to include emergency supplies for those in a crisis. Debbie Sisson is overseeing this part of the ministry. The space is being expanded to keep the ever increasing number of visitors supplied. And it is our goal to add another day and time when we can be open. We are sprucing up Braman Hall with new paint, cleaning up the floors, and just making the entire area welcoming as well as creating a usable space for kid's activities. Judy and John Warner, Kathleen Kendall, Debbie Sisson among others run the pantry. 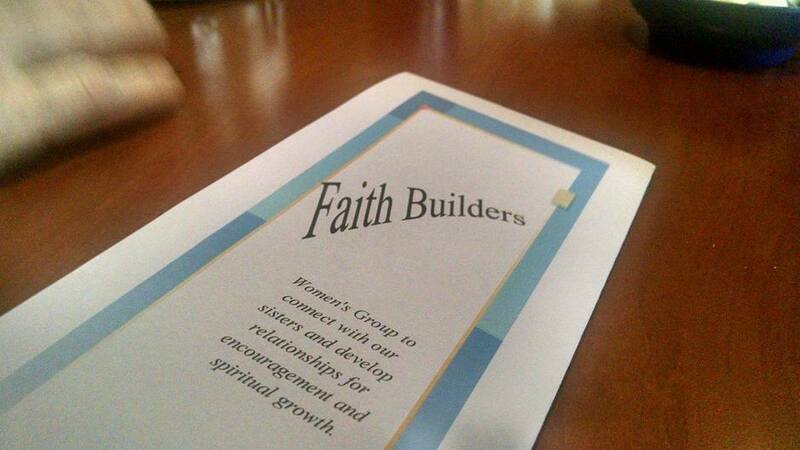 As this brochure says, this a group of women that meet once a month to connect with our sisters and develop relationships for encouragement and spiritual growth! Under this group's leadership spiritual conferences are held as well as the annual bandage rolling for the White Cross and filling of shoe boxes for Operation Christmas Child! Sanchia Callender is the leader of the women's group; Charlene Covey, Esther Brown and Evelyn Hewitt lovingly and faithfully oversee the White Cross and Barb Tuite and Winnie Lane do a fantastic job organizing Operation Christmas Child. The Men of Honor meet monthly for breakfast and to share testimonies and to lift one another up! They also attend the Iron Sharpens Iron conference once a year as well as other conferences designed to bring men closer to God by sharing the word and by mentoring each other. Many of the men gather for physical projects around the church . Our commitment to Haiti began in 1994! Our missionary Helen Larkin Hurlbut,travels to Haiti at least once a year to deliver many pounds of rice and beans , medical supplies as well as supporting an orphanage /school. Monies are faithfully collected each month by Elder Evelyn Hewitt. . Helen also does bottle drives to help supplement funds. We are always blessed when she visits our church to give an update on the Haiti mission. Capital Area Baptist Association (CABA) has extended its long standing ministry to local migrant farmers. 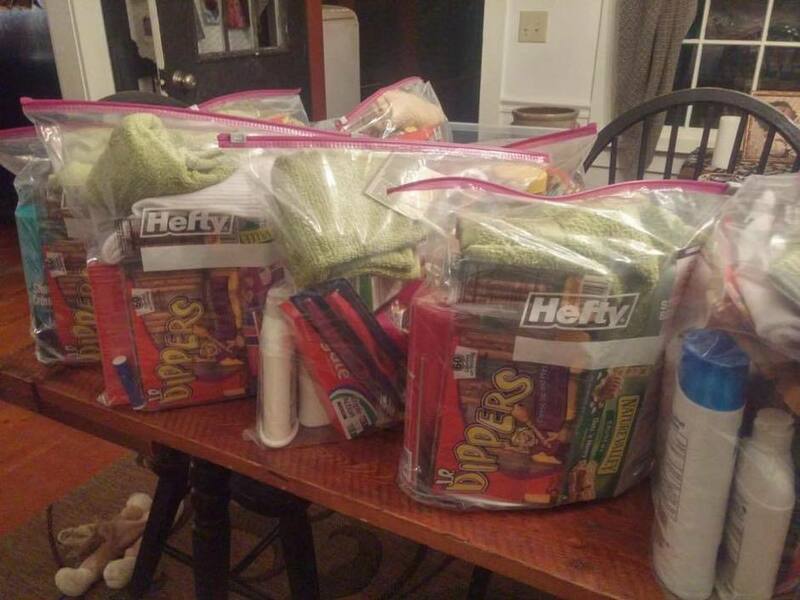 Gift bags filled with personal care items, snacks, and Christian reading materials were made and will be given to the workers for Father's Day. Debbie Sisson did a wonderful job collecting supplies, collecting funds, shopping and putting the bags together for this great ministry!